► We capture your rehearsal during tech week. We shoot most, or the entire play handheld during rehersal. ► The next day, we edit the footage in a high energy film style promotional trailer. ►We email a draft of the trailer to you via YouTube unlisted so you can approve of it. 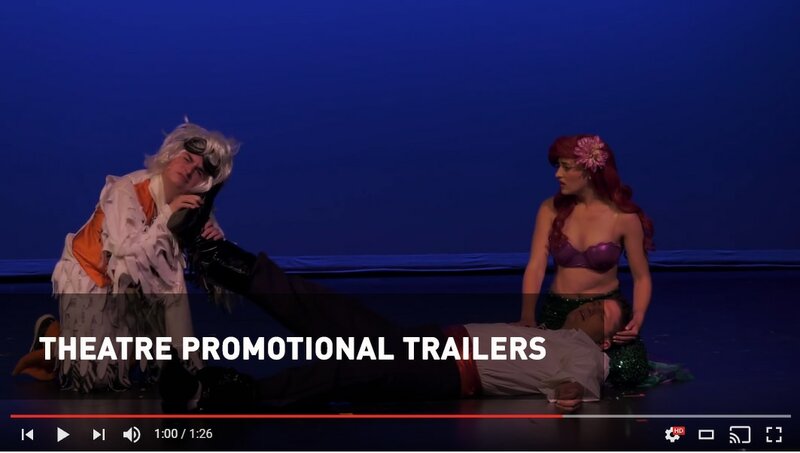 ►A trailer increases promotion of your play & helps create a buzz. ►It allows your audience to get a sneak peak of what to expect. ►Our background in film production allows us to shoot and edit a high quality, high energy promotional trailer of your play or musical in as little as 24 hours. ► Contact Us for more details. Ben is an excellent videographer who made trailers for several theatrical ventures I was involved with. His videos are interesting, well-shot and inventive. He's intelligent and easy to work with."